Not only are we at a major crossroads in our political history, we are at a major crossroads in how we work. Independence or dependence. The old world of work isn’t coming back. The UK referendum on 23 June 2016 provides an opportune theme to write about the big career decision that many of us face as we get older – a turning point in our careers. Should we remain dependent or become independent? 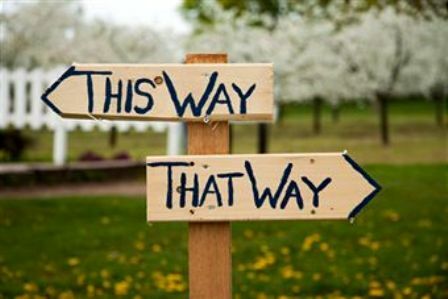 This decision occurs often in our late 40s or 50s, a time when many become consultants, because they want to or have to. * What reasons would you add? Independence and dependence both have pros and cons, just as being single and married do. Self-employment is predicted to rise to be nearly 50% by 2020. Many people will have a portfolio career – up to 5 strands of work and a mastery area essential. Competition will increase and you will need to have a higher level of qualification than today and a personal brand to stand out on-line. It is essential to think about this now or risk getting left behind. The ‘gig’ economy is here with Trip Advisor style resourcing sites of specialists. Uncertainty and having to provide a pension is likely to put off the growing number of SME employers from going down the employee route. In future, employers will have a smaller workforce of well paid in demand jobs with the sought after perks of pension, security and certainty. Everyone else will be self-employed – a huge global flexible workforce used as and when. It makes sense and always has if you think about it, especially with labour the biggest business cost. What do you want? Independence or dependence? It is likely in the run up to the referendum, 111 days from today to be precise, there will be much sitting on the fence by many businesses and individuals. Will you be one of them about your own future? There is a middle ground between dependence, either as an employee or regular associate and independence, doing your own thing by yourself. Interdependence – a symbiotic rather than parasitic formal or informal linking, a ‘win win’ for both parties, two lots of strengths, time and energy. This can be a happy middle ground for many. Talent liberator - career change, executive coaching and employee engagement. PS Love writing too and write many articles. Background in marketing and brand strategy and communication and unusual analytical and lateral brain - great for new career directions and ideas!